We’re not sure what to make of this. 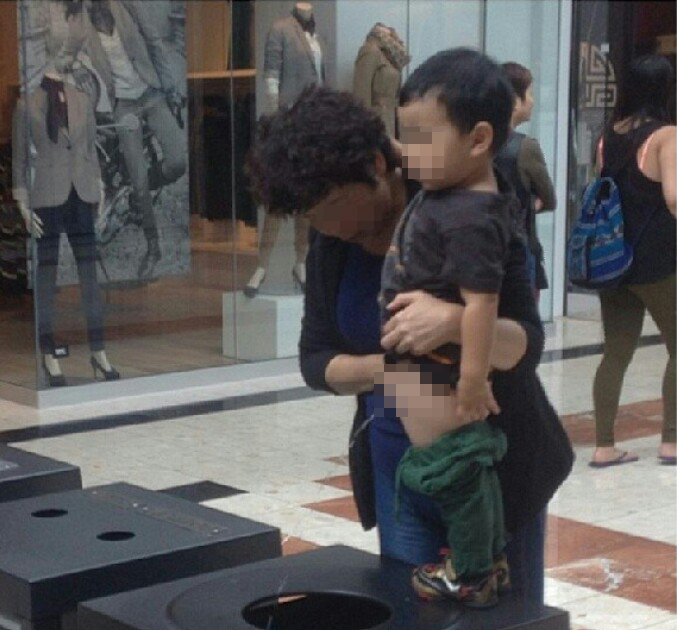 A mother appears to have asked her son to relieve himself into a garbage can while in public at Richmond Centre. Last time we checked, there are plenty of washrooms inside Richmond’s largest shopping centre. However, for this guardian, a short walk to one of the mall’s washrooms proved to be too much of a distance. For some reason, the boy had to urinate into a garbage can out in the open inside Richmond Centre. What happened to public etiquette? UPDATE: a Reddit commenter claims that her aunt noticed that her cousin had begun to wet his pants spontaneously, and she believed urinating into the nearest garbage can was the best course of action to prevent a larger mess given the walking distance to the nearest washroom. Even under such “pressing” conditions, is this complete lack of discretion still an acceptable practice? Photo by Twitter @brandonbeavis. Aspects of this image have been blurred out for the protection of the individuals depicted.